SOLD This 3-bedroom corner lot home has been renovated with new a new main roof, siding, low-e windows, 2-zone gas hot water baseboard heating, 200 amp electrical service and new pex plumbing system. The first level has a living room, dining room, a new kitchen and powder room, a large pantry closet and a rear staircase to the second level. The second level has 3 bedrooms, a new full bath and walk-up to third level attic. 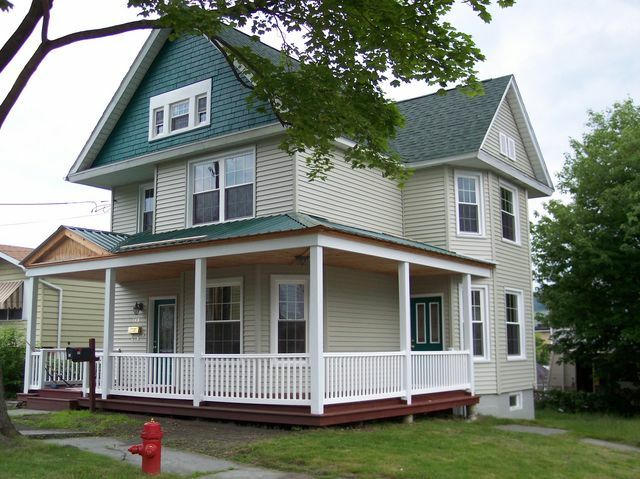 Off street parking and large wrap-around front porch. For further information, please contact Lackawanna Neighbors, Inc. at 570.963.7616.